Pepper Wilson, RD, LD, CSO, provides individualized nutrition care to optimize health throughout the stages of cancer, from diagnosis to survivorship. Mrs. Wilson enjoys working with patients to address nutritional concerns and improve quality of life. Prior to working at Winship, she worked inpatient at Emory Johns Creek Hospital. 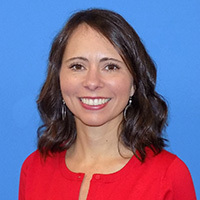 Mrs. Wilson earned her Bachelor of Science degree and completed the dietetic internship program at Georgia State University. In addition, she has completed the Certificate of Training in Adult Weight Management.